4K Sunrise Time Lapse at Sultan Sallehuddin Abdul Aziz Shah Mosque in Shah Alam, Malaysia, Slider Motion Timelapse effect. 4k00:14Time Lapse - Sunrise at a Mosque in Kuala Lumpur/Shah Alam. Close up shot. Camera pan left. Arabic writings translate to "God is Great". 4k00:14Time Lapse - Sunrise at a Mosque in Kuala Lumpur/Shah Alam. Wide Shot. Camera pan left. 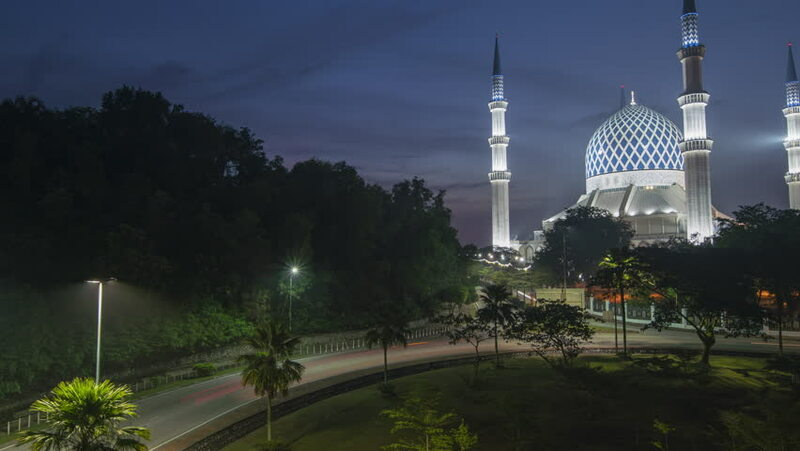 4k00:20The Royal Klang Mosque with reflection by the river with beautiful dusk scene from day to night. Time lapse footage of sunset scenery. 4k00:20Beautiful scenery of sunset at The Royal Klang Mosque, reflection by the Klang river. 4k UHD time lapse footage. 4k00:14Time Lapse - Sunrise at a Mosque in Kuala Lumpur/Shah Alam. Close up shot. Camera zoom out. Arabic writings translate to "God is Great".